Alexander Ridha loves sound. He uses the word 45 times in 62 minutes of conversation. That’s once every 82 seconds, if you’re counting. “My main thing is really to express myself with sounds. The sound is more important to me than the melody or a lyric. 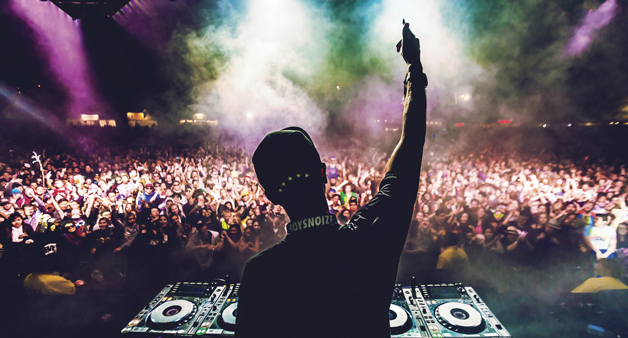 It’s always the sound that inspires me.” Under his DJ-producer alias, Boys Noize, Alex is responsible for elevating his passion to its highest form, both behind the decks and as a maverick in the studio. His ears and instincts are uncannily predictive, able to pick out trends before they’re trending, define genres before they exist and know exactly what everyone will want to hear tomorrow, even if they don’t today. Over the course of an hour-long Skype discussion, DJ Mag USA discovers what drives the artist is more than just sound itself; it’s a desire to make sound that never conforms. Alex apologizes with sincerity for being five minutes late for our interview and we’re fairly certain it is not just because he’s from Germany, where punctuality is more than a formality. The Hamburg-born artist is gentle and genuine, with a countenance that projects the kind of grounded honesty that’s hard to come by. We get the impression that he means what he says. And he says a lot, with thoughts that tumble out of him in streams, like the channels of his tracks. He flickers to life on screen and adjusts his position on a chair in a friend’s home in Los Angeles, where he’s staying between shows. The room is hazy and Alex is backlit from the late-afternoon sun streaming through a window. “Is that okay? Can you see me?” he grins broadly into the camera, welcoming us as his digital guest. Open, genuine. Dust particles filter through the light and float across his face. He blinks and leans forward. We want to discuss ‘Mayday’, his upcoming artist album — the fourth, released on Boysnoize Records — and we begin by sputtering effusive compliments because sometimes even journalists forget their words when confronted with a piece of work so unique. Alex beams with pride and smiles again, pressing his palms together as he accepts the praise. “It means a lot,” he says, and excitedly launches into a detailed explanation of the album’s genesis. This is, we suspect, the very thing that diehard fans would say has always been the appeal of Boys Noize’s music: defiant and unpredictable. His output moves against the grain with purpose and finesse — never bucking the trend for the sake of bucking trends, but offering up sounds that make people pause to wonder what they’re hearing. A craving for something you can’t describe only makes you want it more. That attitude resonates with people, especially in an age where every market is hyper-saturated with daily offerings that feel the same and everyone wants to be seen. 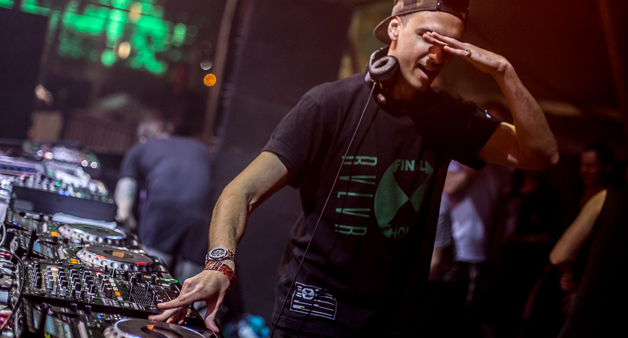 The individual has always been reflected in Boys Noize productions and more so than any of his prior LPs, ‘Mayday’ is a shining example of this theme. The album is impossible to define, spanning the sonic spectrum from grinding electro to accessible vocals, and yet it comprises a satisfying whole. There is a collaboration with Hudson Mohawke and Spank Rock titled ‘Birthday’ that offers up hip-hop vibes and a track called ‘2 Live’ that is infused with everything from house to breaks and pop vox. ‘Hardkotzen’ sounds like what its name implies, while one way to describe ‘Los Ninos’ is ‘80s-new-wave-meets-EDM — a cross-generational marriage that works astoundingly well. The industrial, pulsing breakbeat and distorted vocals of a track titled ‘Midnight’ take us back to ‘90s warehouse raves, where glow sticks and JNCO jeans were as essential as The Prodigy. It’s a vibe that is woven throughout other parts of the LP, too. But the album’s most stunning cut is also one of the most surprising, with glittering keys and longing lyrics that stand out in contrast to the aggression of other tracks; ‘Starchild feat. POLIÇA’ is utterly addictive. It shines with emotional vocals that soar over a relaxed drum and bass beat. A chorus croons, “We’re where we belong, because you belong to me.” And whether Alex Ridha intended it or not, we can’t help but hear those words as a suggestion that the artist is where he belongs, owned only by himself and his creative urges. A starchild, indeed. He owns his position as the outsider but is careful not to judge others harshly or compare the scene to what it once was, insisting that he tries to catch himself before saying that things used to be better. “It’s so hard to be judgmental of kids who grow up without the electronic music culture that used to exist,” he muses, “because where can they find out about it? I met a 25-year-old kid who didn't even know what Wu-Tang Clan was!” At age 33, Alex realizes that an eight-year gap can be a major hurdle. But it’s part of why he does what he does, wanting to expose everyone to different sounds and styles, regardless of age. For most artists, a crowning achievement of that measure might be enough. 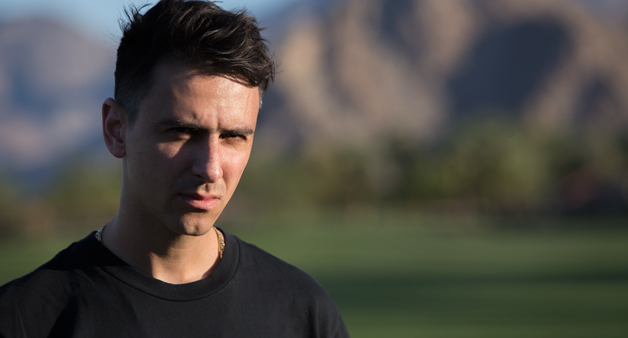 But for Boys Noize, it’s an impressive moment in a collection of many that began with electro tastemaker and Phantasy Sound label boss Erol Alkan in 2006. 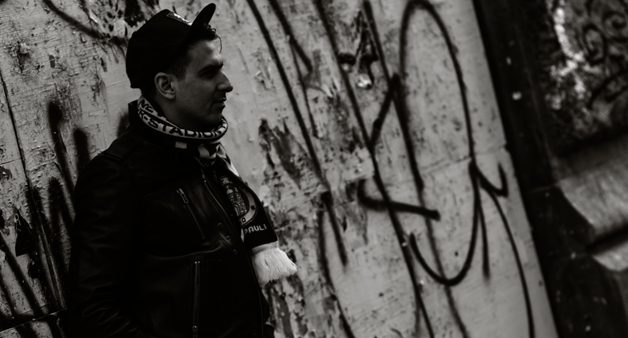 Alkan was among the first artists to support Alex in the UK, and together the two released tracks that straddled the electro-techno gap, like ‘Avalanche’. Another collaboration, with renowned French filmmaker and musician Mr. Oizo, resulted in a marriage of minds called Handbraekes that supplied the dancefloor with a stream of industrial tech bangers. 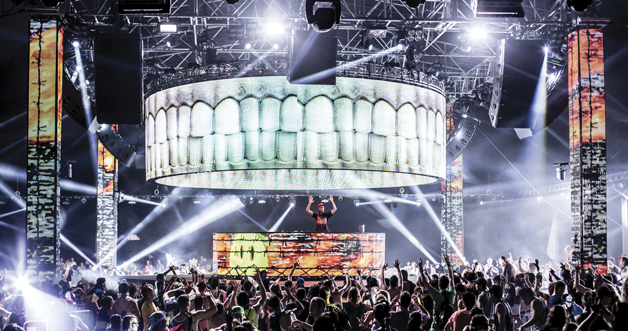 And a 2012 encounter in Berlin with America’s dubstep titan, Skrillex, culminated in Boys Noize joining him to form a group called Dog Blood that offered fans three releases and a slew of live performances. Alex grew up in Hamburg, Germany, a place that is presumably more staid than out of control. He credits his older brother, nine years his senior, for influencing him as a kid in the late ‘80s and early ‘90s. “He was all into early house records and acid and whatever. When I turned 12, I started to buy all these house records that I knew from my brother.” Alex played keyboard for a handful of years and messed around on a drum kit in the cellar of his school, but was largely self-taught. The obsession led a teenage Alex to a job working in a record shop to support what was becoming an expensive hobby — and ultimately, to a gig opening for local house music hero Boris Dlugosch, a fellow Hamburg native. “After that night my life pretty much changed because everybody was going crazy watching this 16-year-old skinny kid playing this party,” Alex chuckles, “and that was definitely a moment when I realized, ‘Okay, this is probably going to be my life.’’ Today, he has 20,000 classic house and techno records lining his shelves at home in Berlin, and he still knows every single one of them. When we lament the fact that our laptop is running out of space for the Skype recording because we’ve downloaded too many promos, Alex bursts into laughter and leans back in his seat, nodding, “That’s classic! I have that issue. Every day I’m fighting for like, a gigabyte on my computer.” He loves to discover new sounds as much as he loves creating them. It’s the thing that has allowed him to build the life of his dreams and he wants to share it with others. “I think that's what I want to try to give back to kids nowadays,” he smiles thoughtfully. “Even though I do play similar shows, or I happen to be in the same places, to have something that feels different and looks different and has a different aesthetic to it, has a stronger opinion about something... I think that's a cool thing to create. 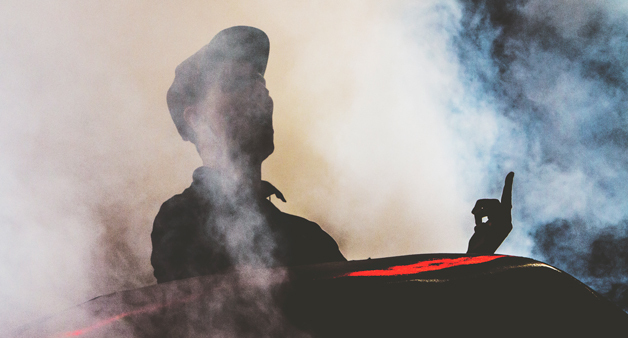 Because it is really missing, especially in electronic music.” Thankfully, Boys Noize is on standby, armed with an arsenal of potential sound just waiting to burst forth from single sine waves into this big, loud world.